I think you will have a couple of challenges. But, this could be fun. the torque it applied, being mounted on the side of the cross-boom. diameter for good performance, and your dish was designed for 5.8 ghz. ghz, for example. Lacking that, you're going to need a down-converter. band. They were easy to move to nearby bands by re-crystaling the LO. 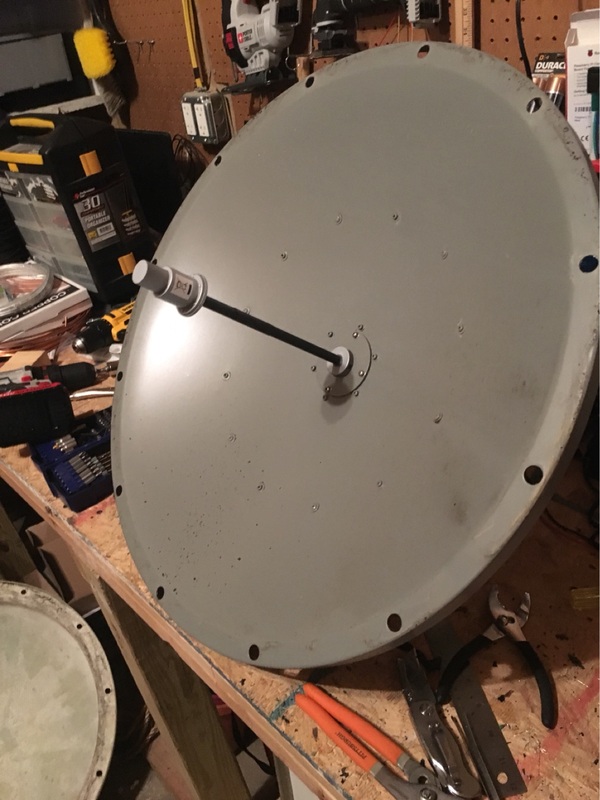 antenna will go a long ways towards actually hearing something. for something potentially a lot weaker. works. Good luck, and let us know what you find! > lap this week and I'm trying to decide on some projects. > doing some solar radio astronomy or transponder chasing. > mounting, and prefer to do things closer to the ground for the time being. > searching isn't producing more than commercial wifi applications. > Anyone have any plans, ideas, advice or direction to offer?